This article provides you with an overview of the 'Network Analytics' tab, which has more in depth statistics for you to report on. 1. To access the Post Dashboard, select 'Your Posts' from the grey toolbar. 2. The dashboard changes with your statistics, displayed above. 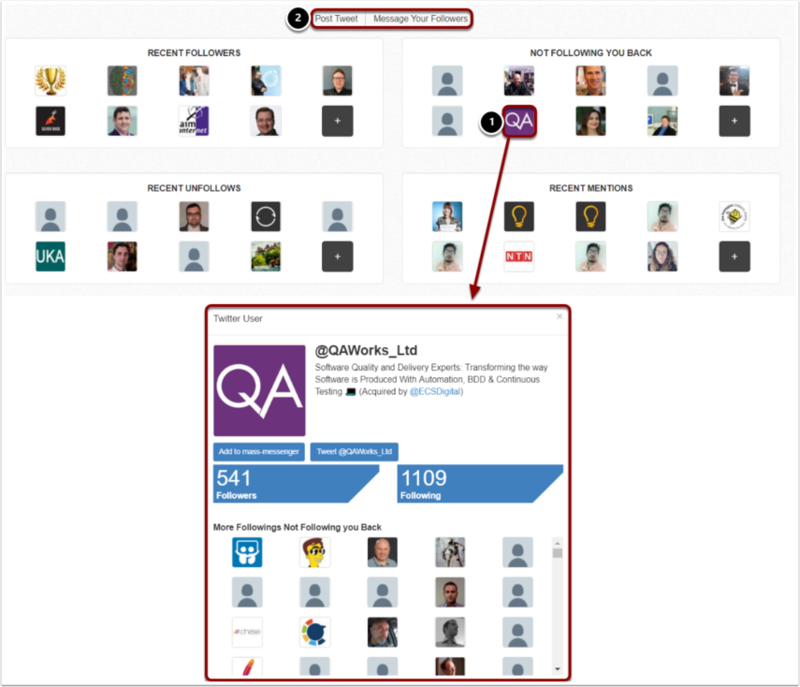 For example, on your Twitter dashboard you will see Followers, Following, and Tweets. 3. The arrow here shows if your stats are increasing or decreasing in number. The green upward arrow indicates it is increasing, and the red down arrow indicates it is decreasing. Below the arrow is a number, showing how much it has increased or decreased by. 4. These are the line graphs of certain statistics, showing any occurring trends. 5. To switch Social Media accounts, select the desired one from the available tabs. If you have not added an account, it will not show up here as a tab. 6. Select your account from the dropdown. 1. Clicking a social picture above will bring up another window. In here you can see statistics associated to that follower which relate to your Twitter. 2. You can also post a Tweet from here, as well as message your followers. Why are my Facebook posts not sending?